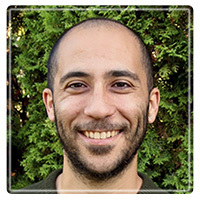 Powell River Therapist: Cenk Matalon - Therapist V8A 0H8. Send A Message To Cenk. Many people feel a mixture of nervousness and excitement while looking for a therapist. I know exactly how that feels, because I've been there. Finding the right fit and diving deep is one of the most helpful things you can do for yourself. To me, counselling and therapy are ways we can more deeply connect with ourselves - no part excluded. We get to find out about family patterns, increase our awareness on conflict resolution, heal from past trauma, develop communication skills, and much more. There is enough room here for the part of you that is confused, the other part that is perhaps angry, an even for the part of you that may not give a damn about anything. In our fast changing world where gender roles and relationship dynamics are being renegotiated, there isn't any better place to start than looking into our selves and truly connect. "Know Thyself" and "To Thine Own Self Be True" - these may come across as cliches but the wisdom they point to is ours to live and more fully embody. Are you ready for a life of authenticity, integrity, courage, and love? Although I work with every client who is interested, I specialize in men's healing and growth. I believe today's world almost completely ignores the pain and needs of men. As a result, many men suffer in isolation. I can help you find your vision and direction. I can help you connect with a deep sense of aliveness and excitement by looking into what's in the way. Letting go of self-doubt and worries, healing from anxiety and depression as well as trauma - not only possible, but also an extremely enriching journey providing us with first hand wisdom so we can get the most out of our lives. Whether relationship challenges or anger and stress - everything can be worked with. I create a safe and respectful space in which you can dive deep and do your healing and growth. I offer holistic, integrative therapy by carefully taking into consideration your past wounding and social and emotional conditioning. Let's bring together mind and body as well as thinking and feeling. You will feel more grounded, more deeply connected to your self as well as more open to relating to others from a place of dignity and authenticity.